Coming every Thursday beginning January 17th!!! 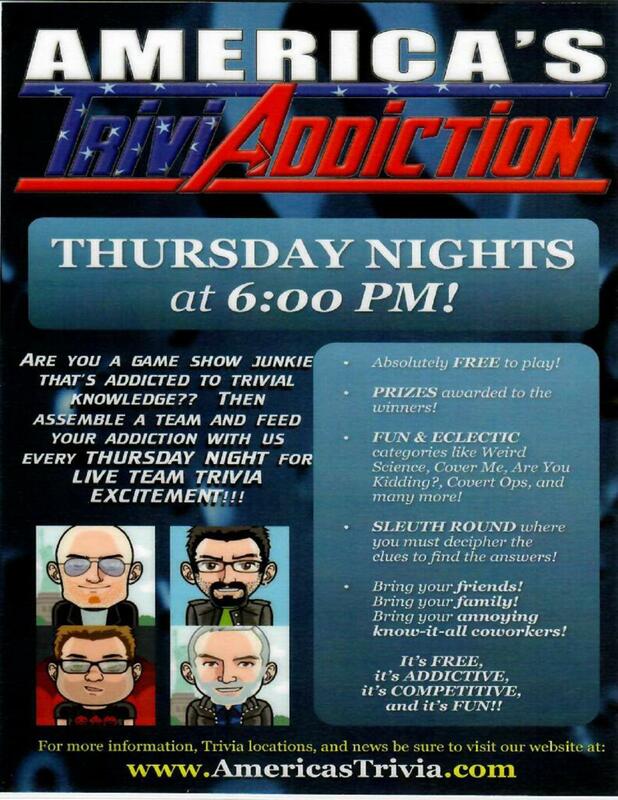 Join "QUIZ MASTER DANNY JAMZ" at CRESCENT OAKS GOLF CLUB in TARPON SPRINGS from 6:00PM-8:00PM for America's TriviAddiction!!!! Yes, it is open to the public!!! Just tell the guard at the gate that you are going to the club for trivia. The top 3 teams win a $30, $20 or $10 gift certificate to use on their next visit!!!! Make sure to follow the link below and RSVP ASAP to get the free question and answer emailed to you the day of the game!!!! We always have a great time and you’ll learn some stuff you never thought you wanted to know!